Jack Nicklaus is stepping away from his day-to-day role with the Nicklaus Companies, the company announced today. The legendary Golden Bear will turn the daily operations of the North Palm Beach, Fla.-based company over Executive Chairman Howard Milstein. Milstein is Chairman, President, and CEO of New York Private Bank & Trust and its operating bank, Emigrant Bank. Meanwhile, The New York Post reported today Milstein’s purchase Golf Magazine – believed to be in the $15 million range – is now complete. Jack Nicklaus brought on Milstein as a partner more than 10 years ago to grow Nicklaus Companies, institutionalize the Nicklaus and Golden Bear brands, and create a transition to the future. 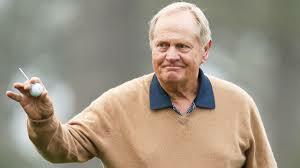 “I have spent my life building the Nicklaus Companies, and there has come a time in my life when I need to reduce my level of involvement and pursue many other things I am very interested in, such as charity work – specifically efforts focused on children’s healthcare – supporting the industry’s initiatives to grow this great game, and being involved in many other things outside of my involvement in the Nicklaus Companies,” Nicklaus said. “I am 78 years old, and while my health is excellent, and I have a great deal of energy and enthusiasm, it became apparent by last fall that it was time for me to spend more time on these other activities. I didn’t want to make a big deal out of it, and there is no reason for me to do so, because I will continue to support the Nicklaus Companies and I want the company to be successful.